Maintenance Services Direct provide a wealth of Painting and Decorating Services to the Domestic, Commercial and Industrial sectors. We bring a full and comprehensive range of services to enable the customer to receive a “Single Source” for ALL of their Maintenance and Repair requirements. 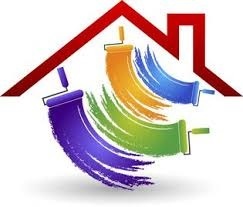 What Painting and Decorating services do we provide? Further Painting and Decorating services are available on request. Please contact us with your requirements. We are able to offer our range of Painting and Decorating in conjunction with our other services in a safe and professional manner.